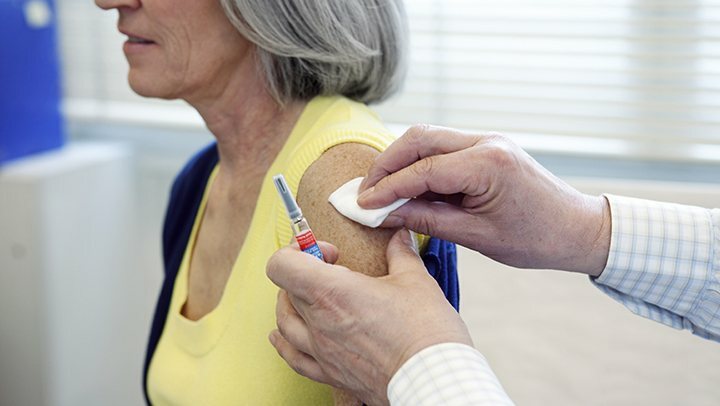 Influenza, commonly called the flu, is a sickness, which can be very serious for seniors. When we are younger, our immune systems are stronger and can fight off the symptoms quickly. As Senior Health 365 states, we tend to treat it as the common cold. Yet when seniors get the flu, we need to take the situation quite seriously. It could lead to serious symptoms and even has the potential to become life threatening for the elderly. Senior Health 365 explains that influenza is very contagious and tends to spread quickly from person to person. If your aging loved ones come into contact with someone sick, you should keep a keen eye on them and consider asking them to take Vitamin C. There is an extensive list of symptoms that indicate the flu. Fever, fatigue, aches, chills, nausea, and runny nose are just a few. The flu affects the whole body and can lower the immune system, especially if the senior already suffers from another illness. Unfortunately, there is no all-healing cure for the flu, but you can ignore it by receiving the flu shot, which dramatically helps seniors fight off sickness. It is important for caregivers to prepare for flu season so their seniors can go on living healthy.